Looking for a cheaper alternative to acrylic freestanding bathtubs? Something that is both lighter and smaller, allowing for greater space-saving features and portability around the house? 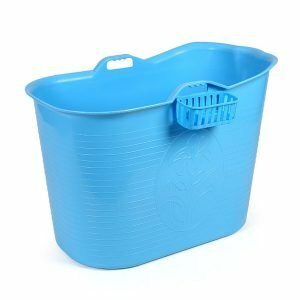 Plastic Bathtubs would is likely to do just the very job for you! Plastic Bathtubs are huge favourites in Singapore. They have everything we love and go for. If you enjoy great value at little cost, our collection of plastic bathtubs may be just for you too. While small, these Plastic Bathtubs are deep, and allow for the complete experience of a full, therapeutic soak. The compact nature also make these bathtubs ideal for small space bathrooms found in HDBs and most other Singaporean homes. 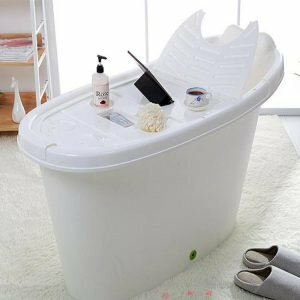 Constructed with durable and high quality plastic, our tubs have been carefully designed for maximum soaking comfort and enjoyment. 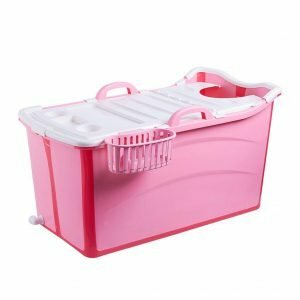 Available in different sizes and lengths, you’ll easy find a tub you can fit in your HDB toilet and store away after use to regain your precious space. Built with value and comfort in mind, you can now enjoy the full soaking experience with our selection of Plastic Bathtubs!